Did you know that a Hello Kitty convention was happening this week (or ever)? It is! And there are cats and drinks and, according to tweets, just lots of adults who love Hello Kitty. 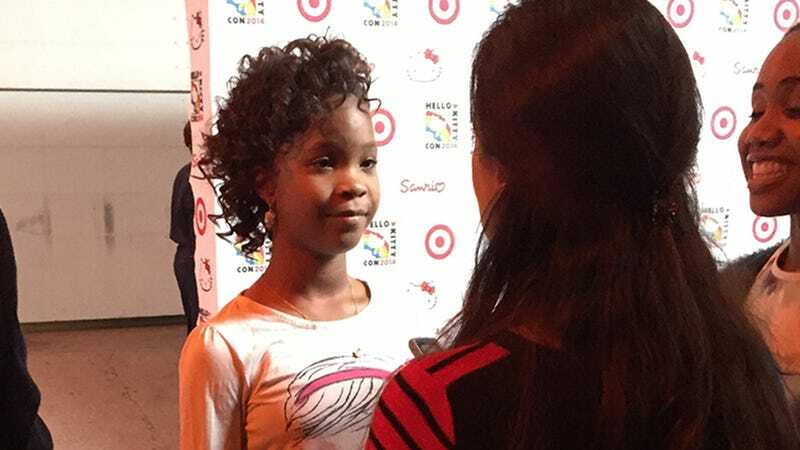 Quvenzhané Wallis is, according to my inside source, the only child there and she is probably wondering WTF! Here's a picture of Hello Kitty's creator, Yuko Yamaguchi, looking as kawaii as ever. What a life she must lead! Is anyone going to this thing?